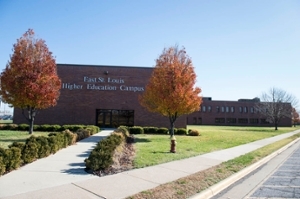 The Southern Illinois University Edwardsville East St. Louis Center, Mid America Workforce Investment Board and the Leadership Council Southwestern Illinois will host 300 summer program students for its Manufacturing/Craft Day Experience from 9 a.m.-noon, Monday, July 18, at the SIUE East St. Louis Center. The event will challenge, motivate and inspire youth to choose careers in advanced manufacturing and the trades. A 2014 Market Review and Investment Update from the Leadership Council Southwestern Illinois predicts a significant number of retirees in these industries along with the addition of 1500 new jobs in Madison and St. Clair County within the next five years. Workforce Development Leaders, Higher Education, Economic Development officials and the trades are partnering to build a new workforce to move into these high demand living wage jobs. The event is sponsored by St. Clair County, the Mid America Workforce Investment Board (MAWIB), Southern Illinois Construction Advancement Program (SICAP), Southern Illinois Builders Association (SIBA), SIUE East St. Louis Center and the Leadership Council Southwestern Illinois. Books for reading to the early childhood students were donated by Construction Forum. Vehicle sponsors include Ameren Illinois and the St. Clair County Highway Department.